Hi everybody! 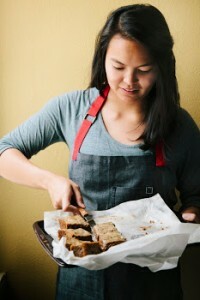 My name is Michelle, and I’m the blogger behind the baking blog, Hummingbird High. 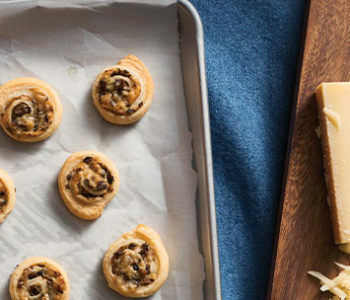 My blog has been a finalist for Saveur Magazine’s Best Baking & Desserts Food Blog Awards, and my recipes have been featured in Better Homes & Gardens, Food52, The Kitchn, and more. I’m excited to work with Wolf Gourmet to bring you one of my favorite desserts: pound cake. It’s a simple, elegant, and classic dessert that you can easily customize with your favorite flavors and ingredients. In fact, it’s so easy that I actually whipped up two recipes! 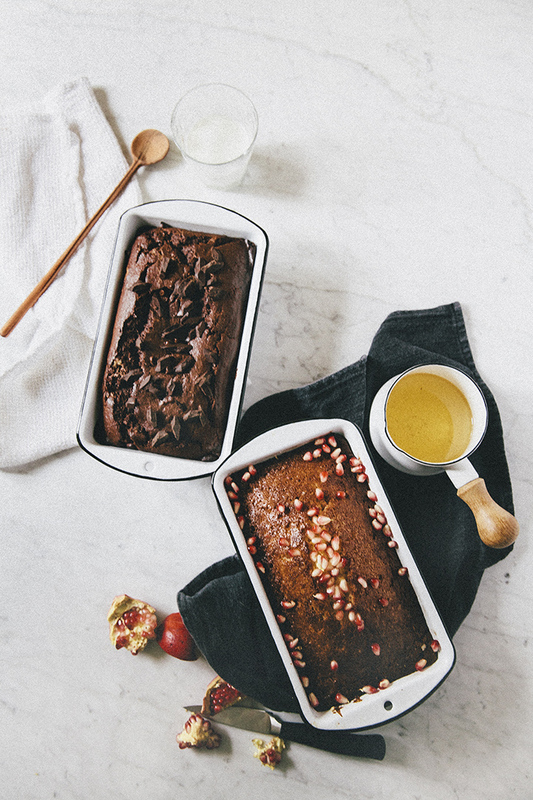 The two recipes are almost complete opposites of one another in flavor and appearance, but equally delicious: a traditional soaked lemon pound cake topped with seasonal fruit and a fun chocolate hazelnut banana pound cake. Everybody almost always gravitates to the chocolate loaf first, with its beautiful dark color and a craggy top spiked with chocolate chunks. Plus, this pound cake is so dense and fudgy, it’s easy to mistake it for a flourless cake! But of course, the lemon pound cake is not to be ignored. Armed with a buttery crumb soaked with lemon syrup and studded with fresh pomegranate, this is a deceptively simple cake that won’t be forgotten after your first bite. 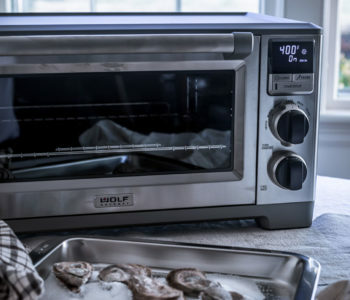 I prefer baking both cakes using the Wolf Gourmet countertop oven’s convection setting; doing so will produce a consistently moist texture and even color throughout the cakes. In a small bowl, combine ½ cup granulated sugar and the fresh zest from 1 medium lemon. Use your fingers to rub the zest into the sugar until it starts to form clumps and becomes fragrant; doing so will release oils from the lemon zest that will infuse your sugar and make it more fragrant. Transfer the sugar and zest into a medium, heavy bottomed pan and add 2 tablespoons fresh squeezed lemon juice and 2 tablespoons water. Bring to a boil over medium heat, whisking to dissolve the sugar into the water. Boil for an additional minute before removing from heat and pouring the syrup into a liquid measuring cup to cool completely. As the syrup cools, bake the pound cake. 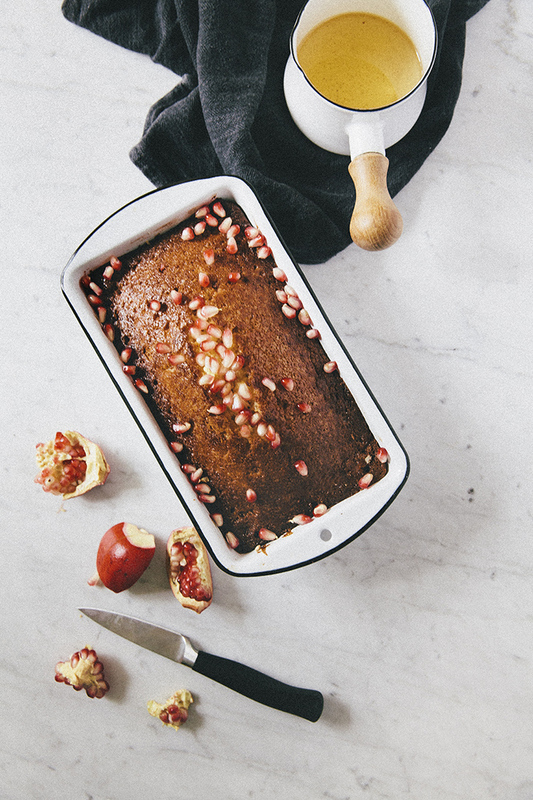 Preheat the oven to 350 (F) and prepare a 9x5-inch loaf pan by spraying generously with cooking spray. Set aside. In a small bowl, combine 1 ½ cups granulated sugar and the fresh zest from 1 medium lemon. Use your fingers to rub the zest into the sugar until it starts to form clumps and becomes fragrant. Set aside. In the bowl of a freestanding electric mixer fitted with a paddle attachment, beat 1 ½ cups unsalted butter on medium speed until it becomes light and fluffy, about a minute. Add the sugar and zest from the previous step and increase the mixer speed to medium-high, beating for an additional 3 to 5 minutes and scraping down the sides of the bowl as needed. When the butter and sugar mixture is light, fluffy, and almost doubled in size, reduce the mixer speed to its lowest setting. Add 6 large eggs one at a time, only adding the next egg when the first one has fully incorporated into the batter. Once all the eggs have been added, add 1 teaspoon pure vanilla extract. Scrape down the sides of the bowl and turn the mixer back on to its lowest setting, and add 2 cups all-purpose flour and 1 teaspoon kosher salt. Continue beating on low speed until just combined — it’s best to still have one or two flour streaks in the mixture and continue to mix the rest by hand with a rubber spatula. Transfer the batter into the prepared pan, smoothing the batter evenly across the pan with an offset spatula. Bake in the preheated oven in convection mode for 50 to 55 minutes, or until the cake is golden with a signature split in the center of a loaf. A cake tester inserted into the center of the cake should come out clean with minimal crumbs. Transfer to a wire rack to cool for 10 to 15 minutes, before using a wooden skewer or fork to poke holes all over the cake. Use a pastry brush to spread the lemon simple syrup across the cake, making sure that the syrup seeps into the holes that you just created. It will seem like a lot of syrup, but be sure to use all of it for a delicious and incredibly moist cake. Continue to cool the cake on a wire rack, before serving warm or at room temperature, topped with the fruit garnish of your choice. Enjoy! In a medium bowl, combine 1 ½ cups all-purpose flour, ½ cup hazelnut meal, 1 ½ teaspoons baking powder, ¼ teaspoon baking soda, and 1 teaspoon kosher salt. Whisk until well combined. Set aside. In the bowl of a freestanding electric mixer fitted with a paddle attachment, combine ½ cup unsalted butter, ¾ cup granulated sugar, and ½ cup tightly packed dark brown sugar. Beat on medium-high speed for 3 to 5 minutes, until the mixture is fluffy and well combined. Lower the mixer speed to its lowest setting and add 2 large eggs, one at a time, only adding the second egg when the first egg is completely incorporated. Add 1 cup mashed bananas and mix on low speed until well combined. Stop the mixer and scrape down the sides of the bowl; at this point, the mixture might look a little curdled. But don’t worry! That’s totally normal. Turn the mixer back on to its lowest speed and add the dry ingredients (from the 2nd step) in 3 additions, mixing only until they disappear into the batter. Still on low speed, add ¾ cup buttermilk, mixing just until it is incorporated. Turn off the mixer and use a rubber spatula to stir in 3 ounces of the chopped chocolate, reserving 1 ounce for topping. Transfer the batter to the prepared pan. Use an offset spatula to spread and smooth the batter evenly across the pan. Sprinkle the remaining chocolate chunks over the batter. Bake in the preheated oven in convection mode for 50 to 60 minutes, or until the top of the cake is set and the top of the cake bounces back when gently poked. A cake tester inserted into the center of the cake should come out clean with minimal crumbs. Transfer the pan to a wire rack to cool completely. These both look incredible, but the chocolate hazelnut one has my vote! I love that combination and add bananas and I cannot say no lol. I love the sound of the lemon one! I’ll take lemon over chocolate any day. Beautiful! I’m a chocolate person usually, but soaked pound cakes are incredible. 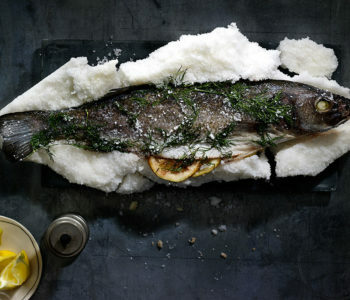 I first fell in love with a semolina one (I use cornmeal for gluten-free) from Ottolenghi’s Jerusalem book. 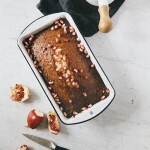 I love the idea of using hazelnut meal in the chocolate banana poundcake! I want to try this recipe but with Almond meal for a chocolate-almond flavor. um, the soaked lemon pound cake. I am a sucker for soaked cakes! Soaked Lemon pound cake. Yum! The chocolate hazelnut pound cake sounds divine! 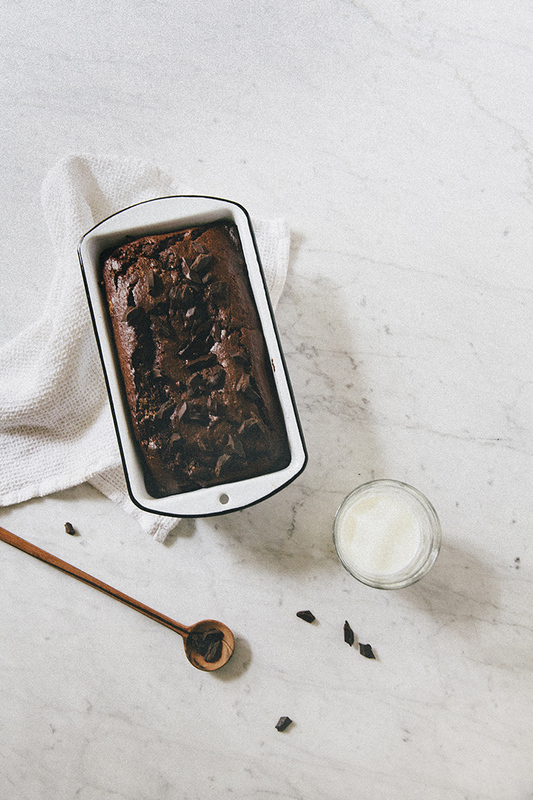 Soooooooooo…chocolate hazelnut and banana pound cake all the way. Love love love both chocolate & hazelnuts!!! You had me at lemon, but the chocolate cake with buttermilk looks amazing too! 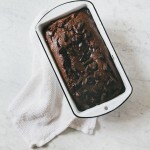 I cannot wait to try the chocolate hazelnut banana pound cake! It has to be delicious. 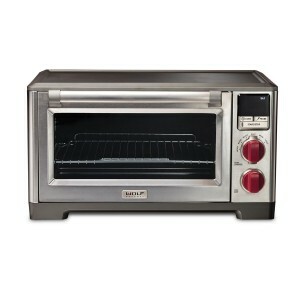 And I have to try this countertop oven! OMG, I can’t pick! I want the lemon right now with my morning tea and the chocolate hazelnut for dessert! Michelle, I just love your blog and all of your recipes. And I love all things Wolf! Quite a few of my clients have Wolf ovens and stovetops and they are hands down the best in the business. I am saving my dollars to purchase one for myself and would love to win a Wolf Countertop Convection Oven!!!! My first inclination is to say the chocolate hazelnut is my first choice but now I am not so sure. Rereading the recipes, I am thinking that lemon soak would be absolutely delicious! I will have to try both to make my final decision. Both of these look amazing! I’m always a chocolate lover but you also can’t keep me away from a good soaked lemon pound cake. Can’t wait to try them both! i’ve been in search of a go to lemon pound cake forever. thanks! It’s the “life dream” of anyone who bakes to use a Wolf❗️I never did get my dream house but if I could have a Wolf ~ that’s a dream come true. Chocolate. . .bananas. . .I’m all in! i’m usually a lemon pound cake kind of girl but chocolate and hazelnut sounds amazing! Chocolate Hazelnut sounds so good and the bananas make me feel better about giving to the kids!